WordPress, the most powerful and also simple in making Blogs and Websites which millions of websites worldwide are running on WordPress. You may want to have dedicated and reliable resources just allocated to your website or multiple websites then you have to get a WordPress VPS server to run your website securely and on reliable resources, in the other words, you have secure, fast, and your own resources. With our one-click VPS. You do not need to know any technical details. Just order and right away you will have your own VPS set up with WordPress installed on it and you can upload your website to the VPS server. With an option to choose the best location for your audience, you can choose it from 10 different locations worldwide and it just starts from $4.95 per month. Just get your own WordPress VPS server from only $4.95 per month. Powerful Control Panel to manage your VPS instantly with root access. More than 10 available locations to get a WordPress VPS from, Choose the closest location to your audience. 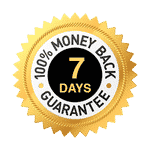 7 Days Money back Guaranteed Risk-FREE. Many payments options such as PayPal, Bitcoin, Credit Cards, Cryptocurrencies, and PerfectMoney.